After a wonderful family reunion and birthday celebration, Steak and I woke up really early on Sunday, February 13th to run our second half marathon. To say I was nervous is an understatement. The only thing that got me to the start line was knowing I had 7 hours to complete the 13 miles and that even if I had to crawl I would finish. 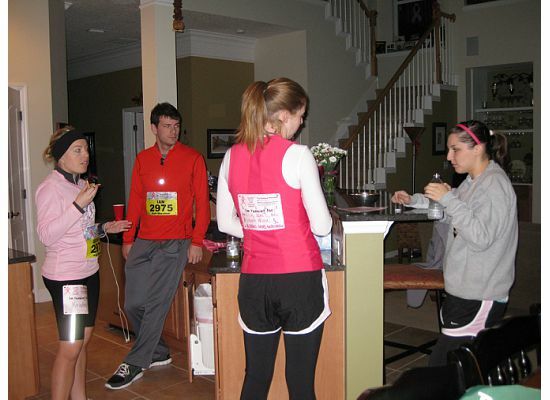 Me, Steak, E and cousin M preparing for the race. Two things made this race completely different from our first. The biggest difference was the reason for running this race. We were running to honor my Aunt's successful battle with breast cancer and her strength and resilience as an individual and runner. Also, this was the first race we had loved ones cheering us on. A handful of our cheerleaders. Steak and I at mile 4 and mile 9. I am happy to say that we completed the race 20 minutes faster than our first. It was an amazing race. We ran miles 6-8 on the beautiful, sunny Florida beach. My Aunt finished the race way ahead of me and Steak and the rest of the family! And she finished chemo only months before! She's truly an inspiration. After the race we headed back to my Aunt and Uncle's house to celebrate life, running, and my Uncle's birthday. The party was a wonderful conclusion to our time in Jacksonville. All the delicious food at the Celebration of Life. Sister CJ and I with a giant cupcake. 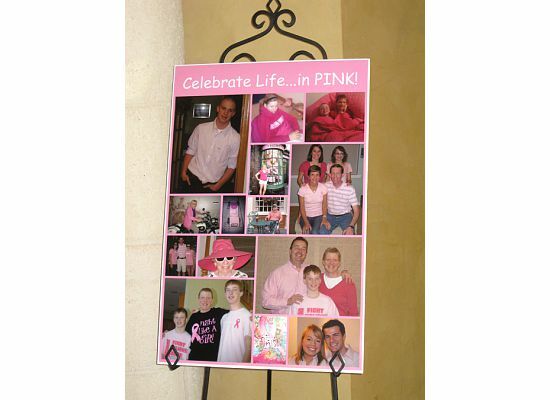 The PINK poster my Aunt put together. 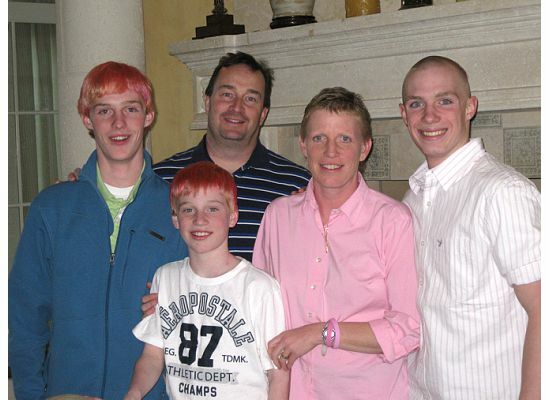 My beautiful Aunt the survivor and her family. 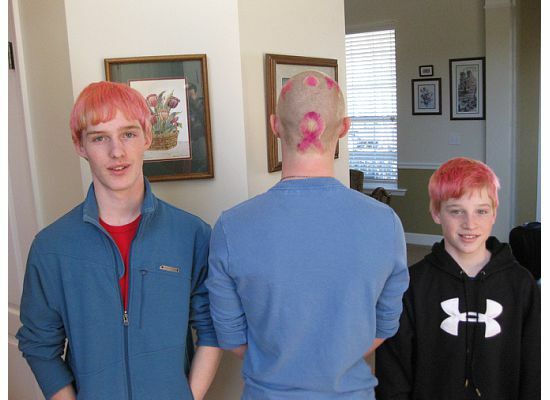 My cousins and their amazing PINK hair. Don't forget to enter our Disney giveaway! Our Disney recap is coming up next. The food looks great and I'm so glad you guys had fun! Just out of curiosity, is that a laser beam hanging from your right thigh in the first picture? So happy to hear your aunt is doing well. I really love the pic of all the cousins with your grandma :) Nice work with another race completed!